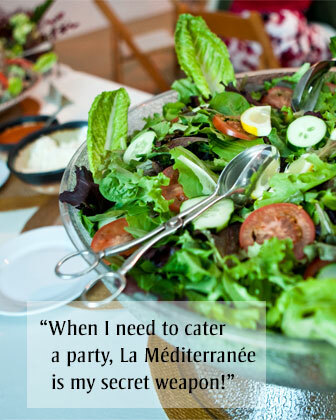 Since 1981, La Méditerranée has been catering parties, weddings, meetings, and celebrations of all kinds throughout the San Francisco bay area! 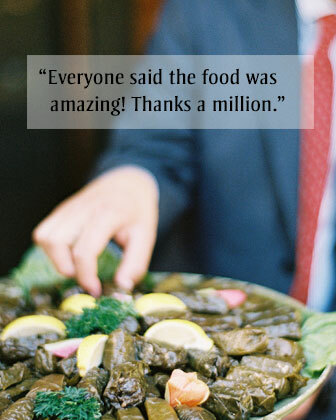 We are pleased to offer catering delivery, pick-up, or full service. Our experienced staff will work with your budget to help provide a delicious catered meal prepared daily from the freshest local ingredients. 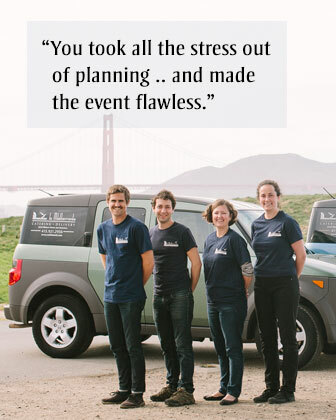 In addition to our drop off services, we offer full service catering for Weddings, Holiday parties, Corporate Happy Hours, and Events including staffing, rentals, and beverage service, including wine and beer. 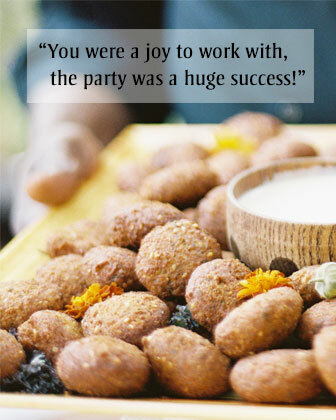 Call to speak with one of our experience catering managers!